Marble countertops in Wallasey add ambience and elegance to your home. Its luminous surface with veined patterns adds a timeless touch to your kitchen, which another man-made product simply cannot match. At David Williams, we are craftsmen in marble and granite countertops. Many of our customers often inquire about the benefits of getting a marble countertop. We recommend them because they offer numerous advantages. One of these is affordability. Marble comes in a wide range of price points because it depends on the thickness and type of marble. As a material, marble is also more affordable than quartz and granite. The next advantage is durability. Since it’s very good at resisting cracking, breaking and scratching, you can expect your marble countertop to last for a few decades. One of its most notable benefits is distinction. Marble is made from limestone via natural processes. This is why every piece of marble looks different. In fact, each marble slab has its unique veining patterns. Lastly, if you’re a baker or professional chef, marble is the only material that will adequately support your craft. It remains cool and won’t burn or scratch easily. For many homeowners in Wallasey, marble countertops are the ideal choice for their kitchens. At David Williams, we specialise in fitting and supplying kitchen worktops in marble. We provide a comprehensive service repertoire which includes manufacturing, templating and installation; all in house! You simply have to get in touch with our qualified team and we will guide with choosing from our range of quality marble countertops. In addition, we will provide guidance with the layout and design of your countertops, including the estimate for installation. If you’re thinking about getting marble countertops in Wallasey, contact David Williams. 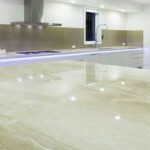 We are regarded as the leading natural stone craftsmen for a very good reason; our expertise and work is unparalleled. We design, supply and install countertops, worktops and fireplaces. To get quality marble countertops, we at David Williams are the leading choice for many homeowners. This entry was posted in Marble and tagged Marble Countertops in Wallasey, Wallasey Benefits of Marble Countertops. Bookmark the permalink. Copyright © 2019 David Williams. All Rights Reserved.